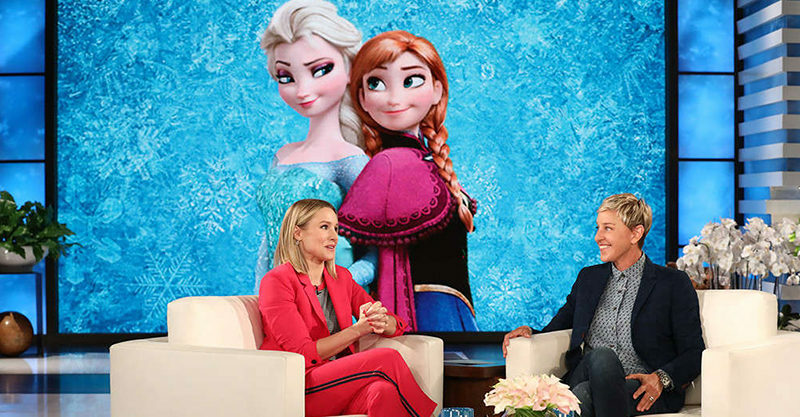 No need to Let It Go, it would seem, because Frozen 2 is well underway – and star Kristen Bell has already recorded her part. Granted Kristen said there might be some more edits, so she’s possibly not totally finished, but it’s still brilliant progress for Frozen fans who are keen for the next instalment. Kristen appeared on Ellen yesterday to talk about all things Frozen and sloths and other Kristen stuff. When quizzed on her return as Anna, she spilled a few tiny beans … but not too much! For those wondering if this new chapter in the Frozen story will live up to the genius of the OG, worry not. All that said, it’s a very, very, VERY long time until we get to see this film on screen. “Frozen 2 is coming to theatres November 27, 2019!” Disney told us last year. Guys! That’s only 600 days away! Ugh. Sadly the polar ice caps are possibly melting faster than this film is being made. That said, they’re probably trying to make sure they totally nail this eagerly-awaited new favourite. Josh Gad, who voices Olaf, says they’re doing just that. “Nothing is more exciting than getting back in the booth with this incredible team,” he captioned a September 2017 Instagram photo of some of the Frozen 2 team recording the film’s audio.